Storey Publishing, LLC, 9781612123615, 128pp. 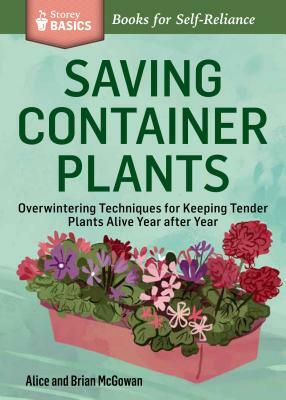 Enjoy your favorite container plants year after year! From geraniums to fuchsias and beyond, many container plants can be overwintered and enjoyed again the next season. Alice and Brian McGowan offer simple techniques for overwintering a variety of common tender perennial plants based on what kind of dormancy the plants go through in their native environment. With a plant-by-plant guide for quick reference, this Storey BASICS® guide will inspire you to create a stunningly varied container garden that comes to life every spring. For 18 years, Alice and Brian McGowan owned and operated Blue Meadow Farm, a specialty nursery that was well known for its selection of unusual tender plants. Brian is now the assistant director of horticulture at Wave Hill and Alice is a freelance garden writer. The couple lives in Hyde Park, New York.